I started a number of peppers from seed this year. Habanero, jalapeno and Major league. the major league has fruted and they are long and green. I seen on the internet they wont change color. how do I tell when they are ready? Assumably the Jalapeno will do the same thing. Well a good indicator is visualize the size of the pepper you see at the store or in pictures. If the fruit is near size then you can assume it is ready or close to being ready to pick. Also some peppers will turn red, orange, yellow etc when ripe. Some peppers can be picked green and they are fine. 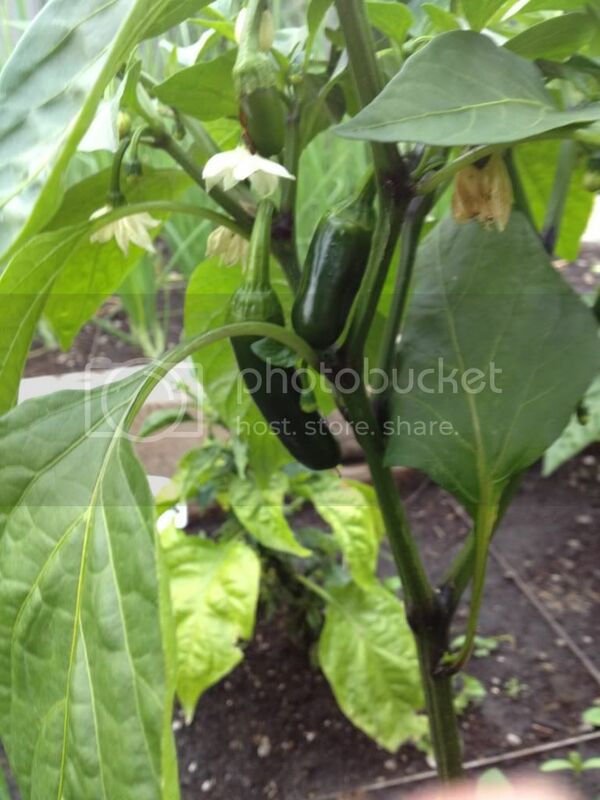 Like Jalapenos for example are fine to pick green (unripe) and fine to pick red (ripe). There usually is a difference in heat and flavor from unripe to ripe peppers. Experiment a little and see what you like. I grow Serranos and usually pick them green which is fine, but sometimes I let a few get red (ripe). I think I like it when they are red, not only are they slightly hotter but they have a somewhat fruity flavor and the texture is a little softer. My habaneros turn orange when they're ready. Jalapenos can be picked while green, usually they get these lines that look like it's cracking when they're ready... or you can also pick them red. I've not grown 'major league', but doing a quick search it is a jalapeno hybrid? I'd guess that it may do the same? The site also said their colour is dark green to red, so they must ripen to red? Stephen, you sound a little like me . Colors? Here's some advice: don't take a job in the floral industry. You will have to fake it with the colors for years!!! Here is something that might be a visual cue with your peppers. You know how grapes lose that sheen when as they ripen? Peppers do that, too. Nearly all of my peppers are harvested green. Really, they are useful at any stage of growth but for some of them I like to wait until they don't look like they've been polished. If you want to make a nice display on the kitchen table, you can polish them once you've got them in the house . Not sure about the Habs but the Jelapeno's will get little brown cracks on them when they are done. It will take a while but that is when they have thier heat. I was told that by a friend from south of the border and it is true.